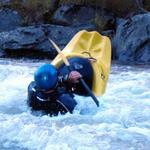 Understand this is a creeky run with a tight gorge area and some significant rapids. There is trail along the left bank. Scout if at all in doubt, a couple of areas/rapids it can be difficult to pull out once committed particularly at higher levels, portage if you need to. 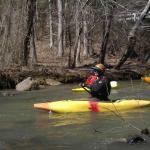 There are a number of rapids that demand attention and good skills, especially at high levels (but don’t under estimate at lower levels either). 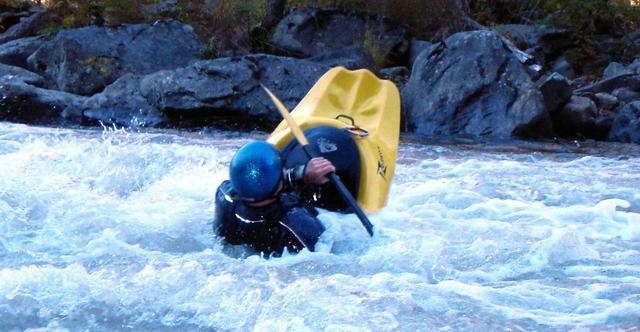 One rapid in partiuclar has a feature in it called “Suddy Hole” – Suddy Hole is a death trap, and in fact from above appears to be a large tongue of flow down a high ledge, for those who do not know it or scout it appears to be the right place to be and it is absolutely not, make sure you know where it is and stay away. There is tricky drop above Suddy hole, so you must clear this drop and get away from the main flow toward Suddy hole imediately. Do not take this warning about Suddy hole lightly – it is serious!!!!!! If you run Big Laurel you must also be prepared to run the French Broad from just below Stackhouse at is confluence with Big Laurel to Hot Springs. You must seriously not only consider the level of Big Laurel but also the French Broad when considering you capability to do this run. 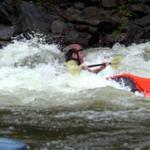 The French Broad part will require paddling Windy Flats, the Kayaker ledge section (which can be portaged or run the other side of the island to avoid the ledge), Frank Bell’s (or run the other side of the island at Frank Bell’s rapid which is not as technical), plus the remaining rapids on the paddle out to Hot Springs. Normally Big Laurel only runs when the French Broad is high, so you must know when either is going to be just to high and you should not do the run. Also as noted if the French Broad is runable but kayaker ledge and Frank Bells are to big there are alternate runs on opposite sided of the islands at both, plus you can portage at kayaker ledge on the right (watch out for the posion ivy). You can enter the river going down the bank from the parking area but the easiest access is across the bridge on the side opposite (right) the Steady Eddy (be careful even though its not as steep as along the parking area it is still easy to slide, slip, and fall going down beside the bridge even here. 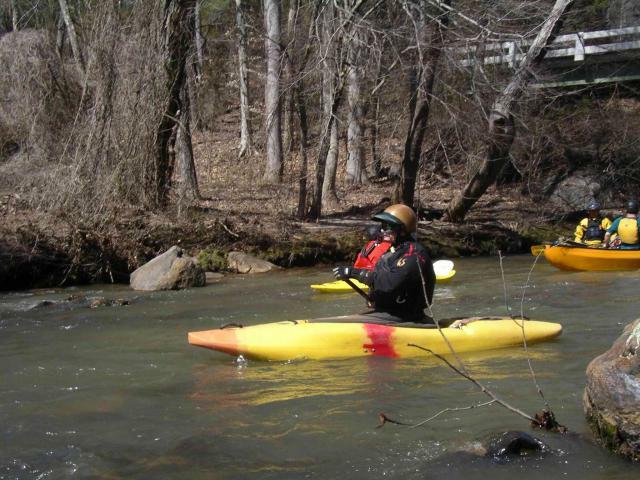 Hot Springs on the French Broad – Paddling Big Laurel Creek pretty much dictates that you run the section of the French Broad from its confluence with Big Laurel below Stackhouse to Hot Springs take out. As Big Laurel normally only runs when the French Broad is high, it is important you know not only what Big Laurel is running but also what the French Broad is running as part of your decision to do this run, you must be prepared and capable of running both at their applicable levels. To get to the take out at Hot Spring – get back to Hyw 25 from the put in parking area and make the turn left toward Hot Springs going over the bridge and past the Steady Eddy and continue on the hyw toward Hot Springs. Just before you cross the bridge over the French Broad at Hot Springs take the road to the right and go just down to the next road and turn left and go under the bridge over the French Broad. Park to the right in the dirt parking areas. Note: the only alternative to paddling out and down the French Broad, is to get out at or just before the confluence and bush-whack up stream along the bank to Stackhouse take-out as noted in directions for the French Broad which I am told is 1/2-1 mile upstream – I am also told this is not a fun or easy manuver. Some people have been know to walk the railroad bed up-stream to Stackhouse take-out however this is not recommended and can be hazardous, as this is a heavy frieght line railbed with very frequent, long, and fast fright trains traveling it, the railroad also frowns on people using the tracks to hike out.